How To Quickly and Easily Build High Converting Leads For Your Niche By Using Social Networking Sites? How can you actually use these types of sites to drive traffic back to your site or blog? This Video Series below helps you increase your access to highly targeted leads by step-by-step. 1. Introduction to Social Networking – You'll see why you should use Social Networking and a more in-depth view as to why it allows you to gain your client's trust at a deeper level. You'll also get a brief overview of it before you dive into the individual sites. 2. MySpace.com - This is one of the largest Social Networking sites. While it began as a site that was highly used by kids, teens, and college students, it has become an area for older people and businesses to go to for networking purposes. In this video, you'll learn how to build a network in your niche. 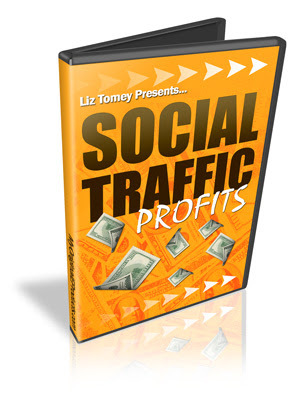 While it can take a long time to build the traffic you need, you will learn how and where to outsource your traffic. 3. Facebook – Just like Myspace, Facebook was very popular among college students as it started as a social networking site for this specific market. As the years passed, and Facebook became more popular, it began to allow other different age groups in. Now it goes against Myspace and was one of the huge social networking sites out there. While it has similar features to Myspace, in this video you'll learn specific areas you should watch out for in Facebook to get the traffic you need. 4. LinkedIn - LinkedIn is a social networking site for the professional and career market. So basically it allows you to network with friends, colleagues, and more for the purpose of professional networking. Not only can you connect with colleagues, friends, and more, but can you find future clients; or find jobs. In this video, you'll learn how to use it setup your own professional profile, so you can begin to drive traffic to your site. 5. Yahoo Answers – Yahoo Answers for a while was a huge site that allowed people to get their questions answered. This in itself is very viral and it's a huge growing network. They included a social networking site as part of Yahoo Answers to allow people to find people with similar interests. In this video, you'll learn how to build traffic in relation to Yahoo Answers specifically. 6. StumbleUpon - StumbleUpon is popular because of it's ability to help you generate tons of targeted traffic to your website, blog, etc. In this video, you'll also learn how StumbleUpon works and how you can use it drive traffic to your site. You'll also be pointed to sites that will help you increase your StumbleUpon traffic. With these videos, you can use different sites to bring in thousands of highly targeted traffic. You can get the "Social Traffic Profits" video course for just $47 only.